The beauty of a house is characterized by what is in it, however, there is much more that one could do to add an aesthetic value and make it more comfy and presentable. Flowers and nature have always been a great inspiration to a good number of people, whom besides not having the chance to plant flowers in their homes have found a way to fill the gap with trendy and very beautiful floral wallpapers. With technology and a great deal of innovation, interior decoration fanatics have come up with a blend of very classy, modern, durable and latest design pink floral wallpapers. The range of floral wallpapers that is found in the market is no exception of the real gift of nature; since the wallpapers have been given a professional touch to clearly imitate the real thing. 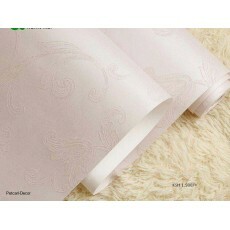 If you are looking for a genuine online wallpaper selling shop you can trust Petcarl-Décor. We value you, so buy from us and be sure of no regrets.